Prestige launches it’s new Mornington Office! My Health Carers has been providing high quality care services on the Mornington Peninsula for 20 years. Until recently the head office has been based in Frankston. After a lengthy period of planning and fit out, the new office at 3/230 Main St Mornington was finally launched. 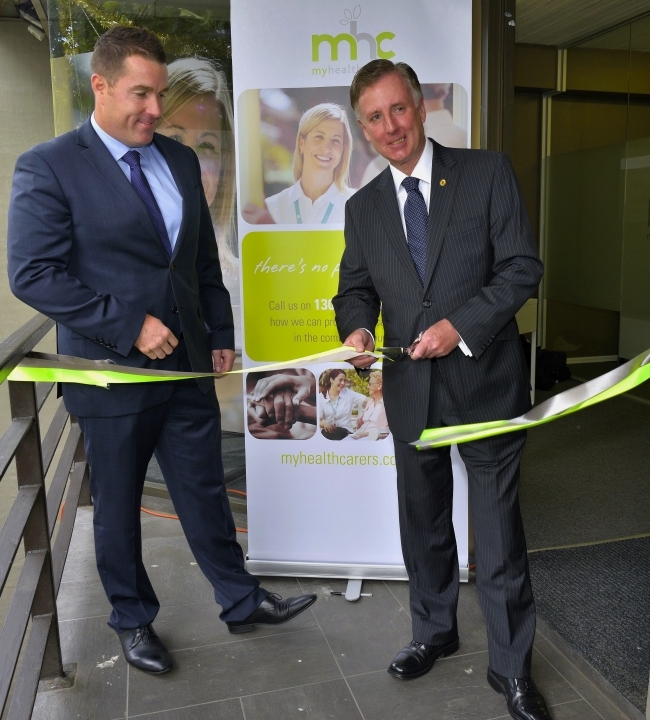 We were privileged to have the Member for Mornington David Morris there on the day to cut the ribbon and officially open the new office. With RPP FM doing a live broadcast from the office, there was excitement in the air. We had a great turnout and everyone enjoyed a fantastic day. The new and highly visible location in Mornington is a fantastic base for My Health Carers to continue to deliver exceptional care to people living on the Peninsula.